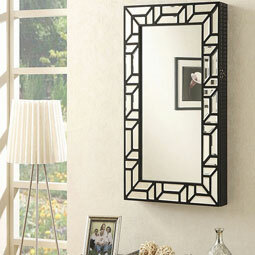 Roses Flooring and Furniture is the place to shop for quality bedroom furniture. Period. 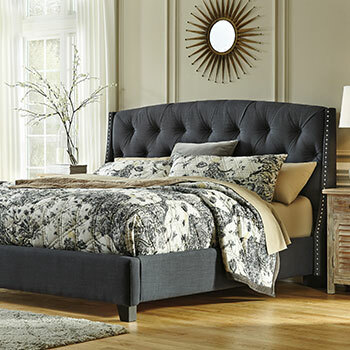 You get unmatched values on top-tier furniture for your bedroom when you shop with us. 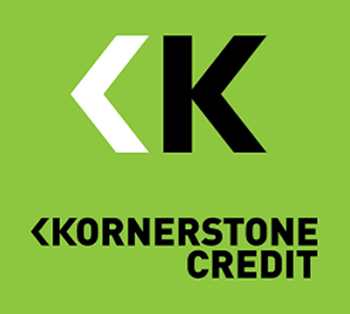 For over 15 years our #1 goal has been to bring our local community and surrounding areas bedroom furnishings by brand name manufacturers at outstanding prices. 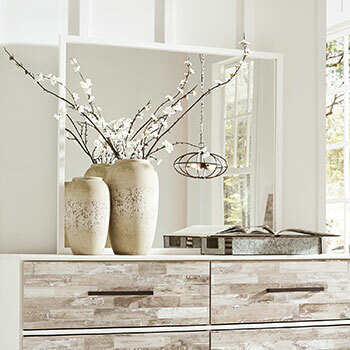 You can easily shop our exclusive collections of nearly 1500 bedroom set components online, at our Harrisonburg, VA spot, and any of our other home furniture store locations. 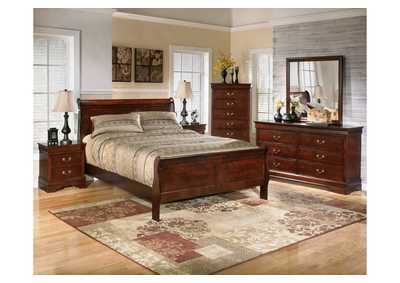 Rest assured, at Roses Flooring and Furniture, you get unparalleled savings on brand name beds. When manufacturers have a surplus, we buy it up so that you can bring home furniture for your bedroom from name brands you know at discount prices you’ll ooze over. Shopping for a new bed at Roses is truly a bed of roses. You will find exactly the bed you need in our extensive collection ranging from traditional beds to more contemporary bed sets. 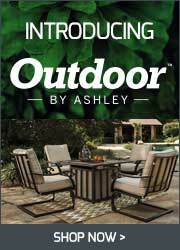 Shop Ashley Furniture queen beds, king beds from Global Trading, California king beds by Millennium, and many more sizes and brands. Everything’s coming up roses in our bedroom storage collection. 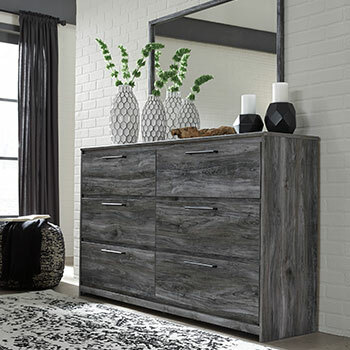 You can find bedroom dressers, media chests, and compact nightstands with ample storage all in stunning designs at Roses Flooring and Furniture. 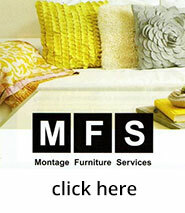 We pride ourselves on delivering superior bedroom furnishings, not only for unbeatable prices but, quickly and with ease. 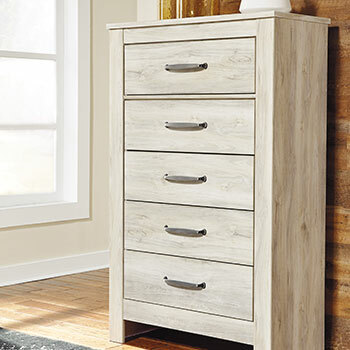 Take advantage of our 48-hour direct shipping options available on most of our jewelry armoires, bedroom chests, dressers, and other storage furniture pieces for your bedroom. 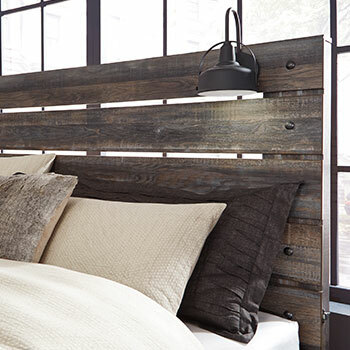 Finding stylish storage fixtures perfectly fit for your bedroom setup is as easy as stopping to smell the roses. 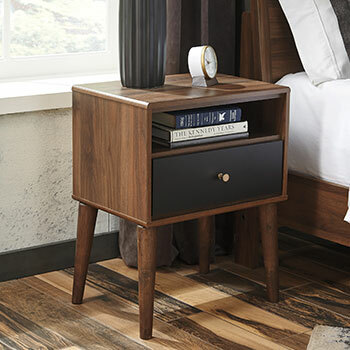 We bring you elegant dressers, beautiful nightstands, and more bedroom furniture with ample storage space crafted by industry-recognized producers. 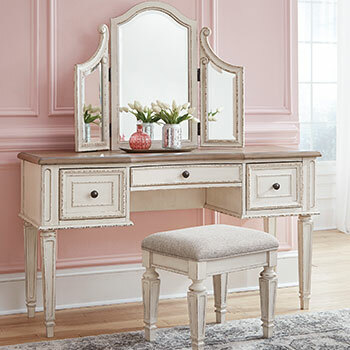 You can easily peruse our wide selection of bedroom furniture online and see your future furniture in person at our brick-and-mortar store located at 450 North Mason St. Harrisonburg, VA. Not in Harrisonburg, VA but still want to experience our collection with your own eyes? 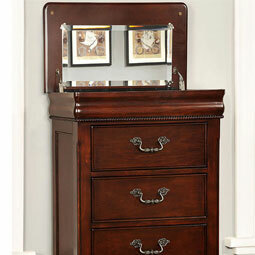 We have 34 other storefronts boasting our wide array of bedroom furniture and much more.